Apple routinely releases updates to OS X that are available through the Software Update process or the Mac App Store, depending on the version of OS X you are using. These software updates, available from the Apple menu, usually provide the simplest method for ensuring your Mac's operating system is kept up to date. They can also cause problems, particularly if your Mac should freeze, lose power, or otherwise prevent the update from completing. When this occurs, you end up with a corrupt system update, which may manifest itself as simple instability: occasional freezes or the system or applications locking up. In the worst-case scenario, you may have problems booting, forcing you to consider reinstalling the OS. Another problem is related to OS X's incremental approach to updates. Since Software Update only downloads and installs system files that need to be updated, you can end up with some files being out of date with respect to other system files. This can result in infrequent system or application freezes, or the inability of an application to launch. Although the Software Update problem is infrequent, and most Mac users will never see it, if you're having some unexplained issues with your Mac, the Software Update problem could be the culprit. Eliminating it as a possibility is very easy to do. You can use the OS X combo update to bring your system up to date, and in the process, replace most of the key system software files with the most current versions included in the updater. Unlike the incremental approach used in the Software Update system, the combo update does a wholesale update of all affected system files. The combo updates only update OS X system files; they don't overwrite any user data. That being said, it's still a good idea to perform a backup before applying any system update. The downside to the combo updates is that they're huge. The current (as of this writing) Mac OS X 10.11.3 Combo Update is just shy of 1.5 GB in size. Future OS X combo updates are destined to be even larger. To apply a Mac OS X combo update, locate the file on Apple's website, download it to your Mac, and then run the update, which will install the newest system on your Mac. You can't use a combo update unless the baseline of that version of OS X is already installed. 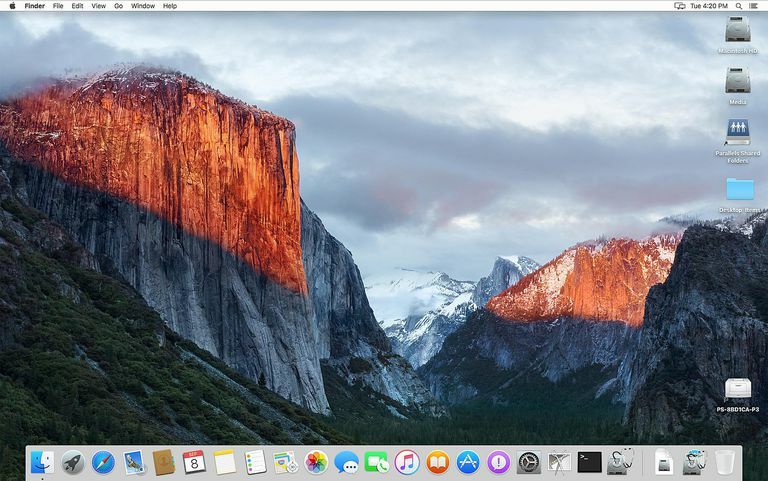 For example, the Mac OS X v10.10.2 Update (Combo) requires that OS X 10.10.0 or later already be installed. Likewise, the Mac OS X v10.5.8 Update (Combo) requires that OS X 10.5.0 or later be installed. Apple keeps all of the OS X combo updates available on the Apple support site. A quick way to locate the right combo update is to stop by the OS X Support Download site. There you will see the three most recent versions of OS X, along with a link to older versions. Click the link for the version you're interested in, then set the view option to Alphabetical, and scan the listing for the combo update you need. All of the combo updates will have the word "combo" in their names. If you don't see the word combo, it's not the full installer. The combo updates are stored as .dmg (disk image) files that will mount on your Mac as if they were removable media, such as a CD or DVD. If the .dmg file doesn't mount automatically, double-click the downloaded file you saved to your Mac. Once the .dmg file is mounted; you will see a single installation package. Double-click the installation package to start the install process, and follow the on-screen prompts.